Ziad Bahaaeddin, a former deputy prime minister and minister of international cooperation, says a huge effort has been exerted to listen to the recommendations of civil society since President Abdel-Fattah Al-Sisi ordered a review of the 2017 NGO law in November. The consultations have been serious and comprehensive, he told a group of journalists at a seminar organised by the Egyptian Centre for Economic Studies (ECES). The current law, said Bahaaeddin, “is the worst ever… The problem has always been a lack of trust between the government and civil society”. What the government must realise, he argued, is that civil society organisations are indispensable. They must not be viewed as vehicles for malign foreign influence that seeks to promote instability. By providing services the government may not be able to provide, often in locations the government is unable to reach, NGOs back up the government’s social safety net. Much of the work, Bahaaeddin pointed out, is undertaken by volunteers, and the custodial sentences stipulated in the current law could discourage many from donating their time and effort. “People who work in NGOs want to be useful to society and such penalties will push them away,” he said. Bahaaeddin argued that the issue of foreign funding for NGOs had taken up far more time than it deserves. The vast majority of NGOs do not receive any foreign funding, he said. Of the 45,000 NGOs operating in Egypt Bahaaeddin doubted that more than 1,000 received funds from abroad. While acknowledging that foreign financing must be regulated, Bahaaeddin said the overwhelming focus on the issue did not do justice to the vast number of NGOs neither interested in, nor able to attract, funds from abroad. One major problem with the current law, he continued, is that it bogs NGOs down in lengthy procedures and unnecessary red tape. For example, it takes NGOs up to four months to change their board of directors whereas private sector companies can do so in two weeks. Even something as simple as changing an NGO’s office address requires prior approval which is not required for private companies. The current law also requires NGOs to maintain their own offices and prohibit office sharing, adding to the burden of administrative costs. A better way of regulating NGOs, said Bahaaeddin, is to oblige them to make their accounts public. Such financial disclosure would show how much they spend on core activities and how much on administration. It would show which activities are being financed and who is funding them. Currently NGOs present accounts to the Ministry of Social Solidarity but they are not made public. “The default best monitors of NGO work are donors who want to make sure their money is being well spent,” he said. Another fault with the current law is the inclusion of criminal penalties. Cases in which someone is found to be money laundering or financing terrorism via an NGO should be dealt with under the relevant criminal law. The penalties should not be part of the NGO law, he said. Bahaaeddin also raised the question of non-profitability. Their non-profit status does not imply NGOs cannot run profitable activities, he explained. What it means is that the NGO does not distribute any profit in dividends but channels it into expanding its activities. Ahmed Abu Ali, a partner in the law firm Hassouna and Abu Ali, told the ECES seminar that NGOs continue to face unwieldy bureaucratic procedures. The constitution is very clear that NGOs can be established by simple notification and any administrative interference in their work, including dissolving an NGO, requires a prior judicial order, he said, making the existing law unconstitutional. 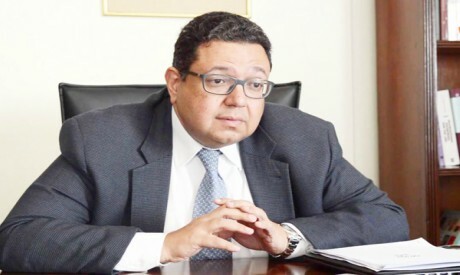 Abu Ali noted that NGOs working in the realm of investment — organisations such as bilateral investment associations between Egypt and other countries — are hampered by the requirement that any foreign membership is limited to 10 per cent of the total number of members. Abu Ali also warned that Egypt was in danger of losing out by closing a rich source of financing if the new law fails to adopt a more open-minded approach to foreign funding.